She said she had a trouble understanding how and when to use ん ( = n). In order to understand how to use ん ( = ), you have to know the form of ** のです ( = ** no desu. ) or **のだ ( = **noda) because * *んです ( = **n desu) and **んだ ( = **n da) are spoken language of **のです ( = ** no desu.) or **のだ ( =**noda.). Can you tell the difference between 1) and 2)? 2) 寒いのです。= samui no desu. While 1) is just a factual thing, It’s cold. 2) sounds more explanatory indicating a reason for something. = Ippai kikonde doushita no? = How come you are bundled up? OK, now let’s change の ( = no) to ん ( = n) here. It has the same meaning but using ん ( = n) makes it sound more casual. ＝I will be in trouble. =Because/ I said / You know I will be in trouble. = Because/ I said / You know I will be in trouble. = Okane ga nai desu. = I don’t have money. = Okane ga nai no desu. = Because/ I said / You know I don’t have money. = Okane ga nain desu. = Okane ga nain da. Why will you be late? Patient : I have a stomachache. = Onaka ga itai desu. = Onaka ga itai no desu. = Onaka ga itain desu. = Ima tabete iru nodesu. = Ima tabete iru no desu. = Shukudai wa mou yarimashita ka? = Shukudai wa mou yatta no desu ka? =Shukudai wa mou yatttan desu ka? = Ima nani wo yatte imasu ka? = Ima nani wo yatte iru no desu ka? = Ima nani wo yatterun desu ka? What is wrong? What’s the matter? = Nani wo tabete imasu ka? = Nani wo tabete iru no desu ka? = Nani wo tabeterun desuka? = Doko e (or ni) ikimasu ka? = Doko e (ni) ikuno desuka? = Doko e (ni) ikun desu ka? Why do you go to Japan? = Naze niho ni ikimasu ka? = Naze nihon ni ikuno desuka? = Naze nihon ni ikun desu ka? = Doushitara ii desu ka? = Doushitara ii no desu ka? = Doushitara iin desu ka? 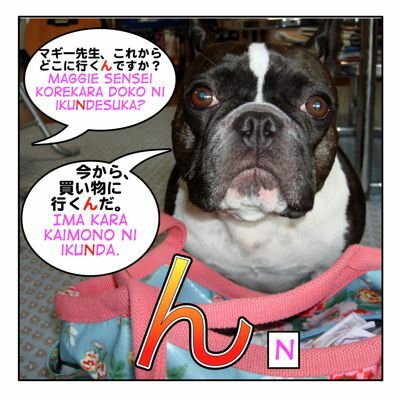 Are you studying Japanese?/ Do you study Japanese? = Nihongo wa benkyou shite imasuka? = Nihongo wo benkyou shiteiru no desuka? = So, you are studying Japanese? = Nihongo wo benkyou shiterun desuka? = Doushite konna koto wo watashi ga suru no desuka? = Doushite konna koto wo watashi ga surun desu ka? Something funny (interesting) happened yesterday. = Kinou, omoshiroi koto ga arimashita. =Kinou, omoshiroi koto ga attano desu. = Kinou, omorshiroi koto ga attan desu. = Nani ga atta no? I got movie tickets. Do you want to go with me? =Eiga no chiketto wo moraimashita ga issho ni ikimasen ka? = Eiga no chiketto wo moratta no desu ga issho ni ikimasen ka? = Eiga no chiketto wo morattan desu ga issho ni ikimasen ka? =Eiga no chiketto(wo) morattan dakedo, issho ni ikanai? I will go to Japan next week. What should I take? = Raishuu nihon ni ikimasu ga nani wo motteittara ii desuka? = Raishuu nihon ni iku no desu ga nani wo motteittara ii desuka? =Raishuu nihon ni ikun desu ga nani wo motte ittara ii desu ka? = Raishuu nihon ni ikun dakedo nani wo motte ittara ii? Don’t you need / want this? I broke up with him! =Karette sugoi no desu ne. = Sonnna koto shiranakute mo ii no desu. =Sonna koto shiranakute mo iin desu. = Sonna koto shiranakute mo iin da. That’s why I don’t want to do this. = Dakara konna koto shitaku nai desu. = Dakara konna koto shitaku nai nodesu. = Dakara konna koto shitaku nain desu. =Dakara konna koto shitaku nain da. You (or I) can do whatever things you like. = Sukina koto wo yareba ii desu. = Sukina koto wo yareba ii nodesu. = Sukina koto wo yareba iin desu. = Sukina koto wo yareba iin da. = Kare ga yatta no desu. = Kare ga yattan desu. Oh I see…/ Is that so? / Is that right? = Sou nan desu ka. =Kore wa boku no ja nai. = Kore wa bokun ja nai! = Sou dewa nai desu./ Souja nai desu. = Sou dewa nai no desu./ Souja nai no desu. = Soudewa nain desu. / Souja nain desu. = Hayaku iku no desu! = Sumimasen, Ueno ni ikitai no desuga..
=Sumimasen Ueno ni ikitain desuga.. I would like to study Japanese. What site do you recommend? = Nihongo wa benkou shitaino desu ga dono saito ga iidesu ka? =Nihongo wa benkou shitain desu ga dono saito ga iidesu ka? =Maggie Sensei korekara dokoni ikun desu ka? =Where are you going now, Maggie Sensei? =Ima kara kaimono ni ikunda. Look at that! I simple one letter ん lesson turned into this epic monster lesson! I am sure there are lots more examples, but that’s enough for now. BUT I will add more examples to this lesson in the future as I think of them. Si hablas español, vete a chequear mi pagina de Facebook. Nuestra amiga, Laura, ha traducido esta leccion en español. If you are a Spanish speaker, our friend, Laura translated this lesson. Go check my FB page. I wanted to try a sentence using のです. Is this correct? このままでいい? Thank you in advance. Sorry, forgot to say what It was supposed to mean. “I don’t like crowded places very much. So when I want to eat I always go to the nearby Sushi place. There’s few people and its very quiet. Your sentences are all good! Other than that, they are all very natural. I understand how to use のだ、but I find it hard to understand the nuances when it’s だけどvsんだけど and でしょう(か)vsんでしょう(か)。Can you help me? 4 このうち、好きなものはないけど、選ぼうとしたらあれ。= Even though I don’t like anything here, if I had to pick, I would pick that one. 1) & 2) →行きたいんだけど shows your desire more. 行きたいけど is just a statement. 5) & 6) 6) expresses more accusing tone. So you have to be careful when you ask a question like this with ん. The person who you asked might feel you are angry. 7 & 8) 8) express your surprised feelings. This is something unexpected. I thought A and B were different but is is possible that I am wrong???? Thank you! Is 好きんです correct, or should it be すきなんです? Thank you for your wonderful instruction. I’ve been struggling with this ん sound forever but this lesson has helped me a lot. “待って　覚えらんね” (after he’s been nagged by his friends to go buy them drinks: “I want Coke”, “I want orange juice” v.v…). I think this sentence meaning is: “Wait, I can’t remember all the types of drinks you guys want” (Because after that he had to write down the name of those drinks then went to buy them) . But does this mean られ　changes to らん？I don’t see this type of change mentioned in this lesson. What’s the meaning/function of this ん in 絡まれてんの? Is it shortened from ている ? If so, what is the rule for these ん’s changes, because I thought ん is only the shortened form of の. Again, thanks a lot for all the efforts you’ve put in these lessons. OK, I didn’t explain this because it is for a rough male speech pattern. Note: Besides rough male speech, there is a dialect in Tohoku area which uses the same pattern. So I’m guessing it’s the past tense of the command form? But I didn’t see it included in the lesson, and since you cant command someone not to do something in the past tense I guess it instead becomes you shouldn’t have like the character is scolding himself? Your clarification would really help me, thank you. The translation is correct. I shouldn’t have gotten involved. There are a few ways to express one’s regret. Vのではなかった / Vんではなかった is one of them. Note: You also can use ~なければよかった　to express your regrets. This clears things up completely. And the examples really helped too. Thank’s so much Maggie sensei! Wow I didn’t think you would reply so quick!I really appreciate your answer, sensei. Maggie Sensei you are wonderful. You explained a difficult topic with very ease. Is there a lesson about って? It is really confusing… I often meet a word with tte in the end. What does it mean and how to use it? Thank you! this 「って」is an emphatic and colloquial equivalent of 「は」; it is used as a topic marker. EX. あの人って、どう見ても、怪しいじゃん。 That guy is strange, no matter how you look at it. Don’t you think so? Thank you @天人 for helping Alina! just wanted to say thank you for all your lessons. Almost every time I looks for something that I don’t understand one of the first results on Google is your page where I always find an answer. I’m happy to hear you come visit here many times! Good evening. I just found this site because I was so frustrated that I could never understand this concept. Your explanation was wonderful and now I’m just frustrated that I didn’t find it sooner! Thank you! Welcome to our site. I’m glad you found us!! There is one place I always in into when I need to understand japanese grammar. That’s Maggie sensei’s site. Maggie sensei’s is awesome Sensitive makes a great effort to make manyxampke sentences. Couldn’t Thank enough! Awww how nice of you!! お前に捕まえられんのか?。I guess it is the る becoming ん, so would you (japanes人) translate it as “to be captured by you” or “not to be captured by you”? これ、おいしいね。This is delicious, isn’t it? これ、おいしいじゃない。This is delicious, isn’t it? It’s depends on the subject so I will give you two possibilities. He/She is a student, isn’t he/she? / They are students, aren’t they? I guess he/she (they) is (are) student. (when you assume something) showing your uncertain feelings. He/She drinks, doesn’t he/she? / They drink, don’t they? I guess he/she drinks (they drink) (when you assume something) showing your uncertain feelings. In some novel MC comes to a shop hoping to sell some remnants of a monster. He stays in a queque and sees another guest selling the same thing. Now it’s his turn. 2) Is there some general rule how んだ interacts with が? Also, The final particle “Sa”, when Do we use it ? さ(=sa)・さあ(=saa) is a casual suffix. = Ano saa, kono aida karita hon saa, motte kuru no wasurechatta. = You know…the book I borrowed from you the other day? I forgot to bring it today. 2) to express your opinion./ to make your point. You may hear this usage a lot in anime, manga or drama but it could sound snobbish. They both express your opinion but you emphasize your surprised feeling more with Ex.2) or when you just find out the fact that he is nice. While 3) is just checking, 4) sounds stronger and shows your feelings more. sensei, what is だと in 訓練場だと、結界が張ってあって高さが足りないんだ！ mean? In this case だと is a casual way of saying “(location) では” = in / at ~ (showing the contrast) but it has conditional nuance. Ex. I can relax at home but I can’t relax outside of my house. now the sentence become much more understandable hehehe…. sensei, what is なので means? It means “because””so” and you use it when you give a reason. = Ashita wa ame nanode dekaketaku arimasen. = Because it is going to rain tomorrow, I don’t want to go out. = Maggie wa inu nanode resutoran niwa hairemasen. = Hima nanode dokoka ni ikitai. = I am free so I want to go out. sensei, is どんな夢を見てるんでしょうか。 mean “I wonder what kind of dream you see?” or just plain “What kind of dream you see? どんな夢を見てるんでしょうか。= What kind of dream are you having? / I wonder what kind of you are having. / What are you dreaming about? でしょう（だろう）is used when you assume something. = Is it cold there? / I wonder if it is cold there. = I bet Japanese is difficult. / I think Japanese is difficult. Is that true? Un GRAND merci! I really could not understand that from the Minna Nihongo… Especially since the -のです had not being covered yet. Good to hear this lesson helps you. There is something I found out and I was wondering if you could correct me. のです since it’s explanatory…it sounds more, how can I say it? 暑いです (fact) This sounds kinda cold (no pun intended) it sounds short and abrupt. 暑いのです (explaining) this sounds better and it sounds kind of inviting. Sorry, I really dont know how to explain. There is an ambiguity that can only be felt in the Japanese language that cannot translate well into English. My friend took the ball and ran away with it. So the 行ったんだ was like, obvious and explanatory, no? ボールと行った sounds just…a bit cold. I know many Japanese expressions are hard to translate. You can’t start a conversation with 今日は暑いのです。It sounds strange. = He was gone with a ball. Anyway yes, in that case, ~んだ is explanatory. The person was explaining what happened. And it is not “cold” at all. I hope I answered your question. But if you have any questions, feel free to ask me anytime. マギー先生、ありがとう。From your lesson I understand that the nuance between 寒い and 寒いんだ is that the latter carries an explanatory tone. With that in mind, what’s the difference between 寒いだから and 寒いんだから? The difference between 寒いから　and 寒いんだから is the later one is casual yet it emphasize the fact that it is cold more. 寒いんだから。Because [it] is cold!!!! (Ahh, did I say cold?). = Close the windows! (because) It’s cold! = I am telling you! It’s cold! Close the windows! So can the “nda/noda” actually be an imperative form? I read young people use it so much it doesn’t really imply a reason (=they overuse it). Is that true? Yes, those are examples of imperative form. And you are right. Young people use statement form a lot. and it is very natural. a) *日本語が大好きなんです。= I love Japanese. b) *日本語が大好きだからです。= Because I love Japanese. While a) is a statement b) is giving a clear reason. It’s me again. I had a typo. I meant to say, that your mini-lesson answered (NOT ASKED) by question. I love your lessons. Although I am a beginner, I have learned a lot just by reading your blog. I just started about a month ago. This mini-lesson asked my question too because I had problem understanding irunda as well. I found some people explain this which is pretty much the same. However, your lesson has more examples and illustrations. I am really happy and felt lucky that I found you and your blog. Thank you for visiting this site and your nice comment!! I am very happy to hear this lesson was useful for you. Feel free to ask me if you have a question. Are you the one who tweeted me before? Many people have got confused but I am not Victor (gimmeaflakeman) but thank you for visiting this site anyway! Thanks so much for the great explanation. This has always confused me. どういたしまして！ Hope it helps you! Thank you soooo much Maggie sensei!! Nobody could explain to me as clear as you do, never! “simple one letter ん lesson turned into this epic monster lesson!” > I cannot agree more! I think it takes time for me to fully understand this form but I will definitely practice more! I made this lesson for you so hope you come visit this lesson again and again. And please feel free to ask me any questions,OK? It was much deeper than I thought it would be but actually many people seem to be interested in this subject. So I am glad I made this. Sugoi Maggie sensei. Arigatou gozaimasu. Thank YOU for always visiting my site! Hope you can use some of the information.